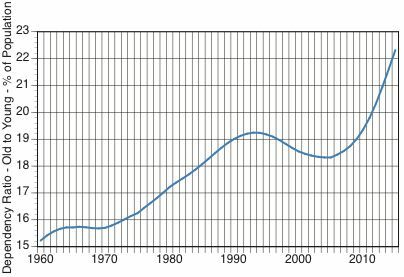 The US population is aging. The number of US adults over 65 is rapidly rising the as increased longevity creates a change in the socio-economic environment. The purpose of this blog is to show information how aged people will live. 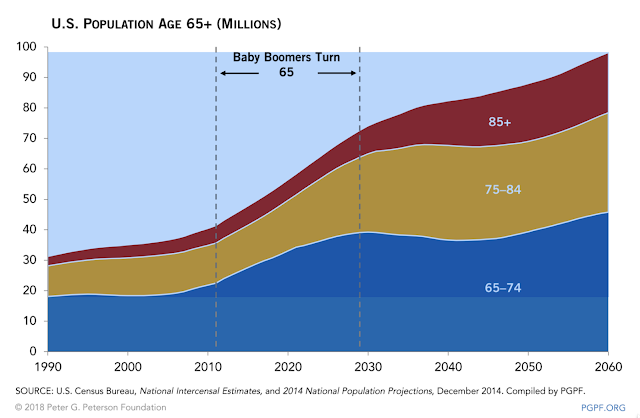 The % of the total US population aged over 65 has increases from 13% in 2010 to 19% in 2026. The largest increase is taking place presently. is a dramatic rise in the aged from 12.3% in 2000 to 15% in 2015. Meanwhile the total working age population (aged 15-64) has leveled ofl. Consequently, the ratio of workers to the aged has been changing as there are fewer actual workers available to support those who are now considered aged. It was the increased labor force participation by women from 1962 through 1990 that supported a rise of the aged. That relationship between the participation of women and the increase in those over 65 has now ceased as the aged people are increasing at a faster rate. 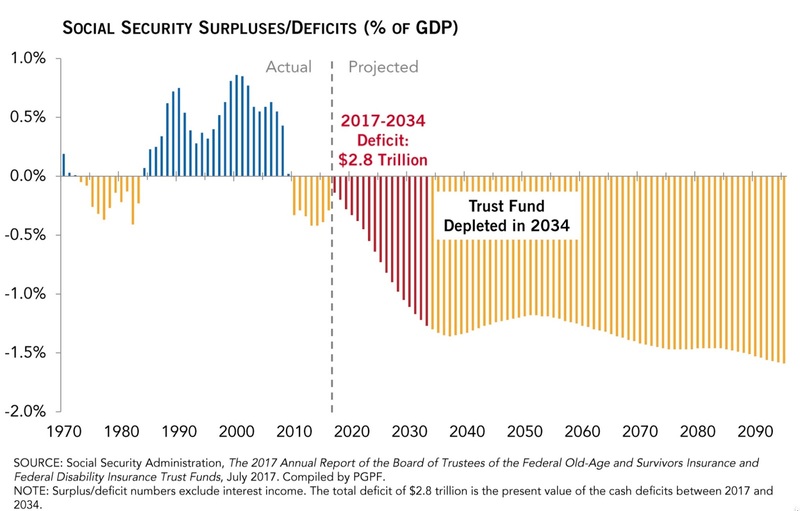 Another way of displaying the changes in the relationship between the aged and young is shown in the chart above. In 1960 there were 15 old people for every 100 young ones. That has changed. In 2015 there were 22 old people that required 100 young people for support. The major changes in aging has been the rising life expectancy in the US. 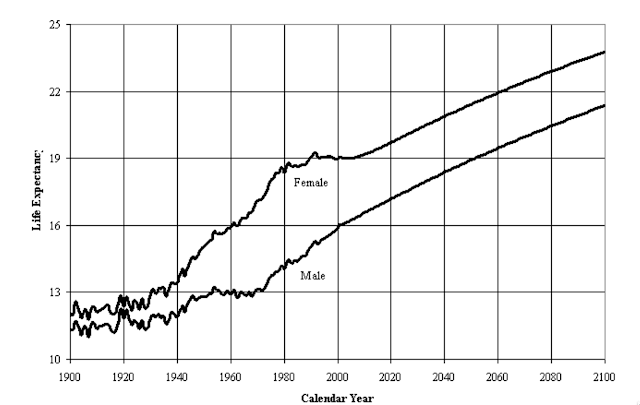 On the chart below we show an increase in life at the age of 65 from 12 years in 1900 to longer expectations by 2100 of 23 years for females and 21.5 years for males [https://www.ssa.gov/oact/NOTES/as120/LifeTables_Body.html]. The greatest gain in expected lives occurred for females during the time when they entered into the workforce from 1940 through 1989. Male life expectancy started gaining only after women became full participants in the work force after 1970. Starting from the present time one can expect women to add 5% and men to add 7% to the years during which they will require increasing medical and health support assistance. 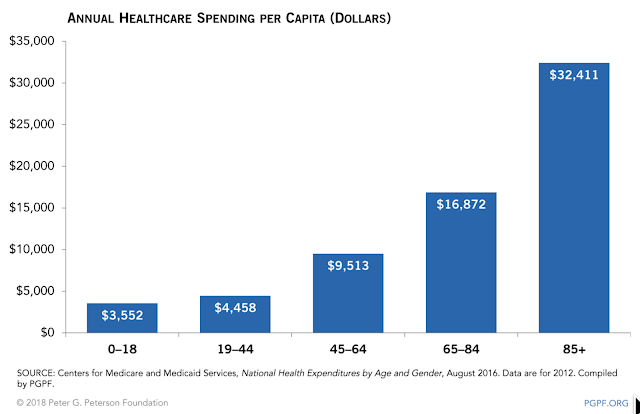 It is the end-of life health maintenance for medicare and medicaid government reimbursed spending that is shown here. 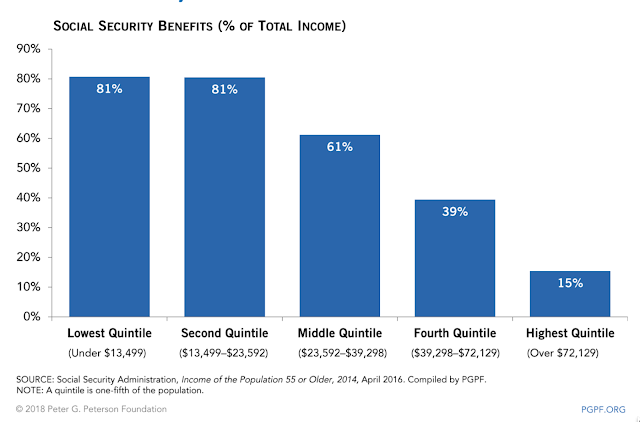 Not included are expenditures that people pay out of their own life-time savings. There has been a large increase in the aged population over 65 since 2010. In a period of 40 years, in its largest gains from the "baby boomers", it grew from 30% of its ultimate growth in 2060 to 70%. What is noticeable are the large gains of the over 85 year olds now starting to reach over the 100 year old limit. income distribution has sufficient savings to draw on for support of their retirement and medical costs during their ending years. In 2018 we are starting to see what are the current projections about the prospects for old age. There is no question that a small part of the population will be able to manage well if they have accumulated sufficient assets to carry them through their final years. What share of the population will be able to retire and pay for medical costs, while their longevity is increasing, remains to be seen. However, at present the prospects for more than half of the population is not good. What used to be protected pension benefits has now largely vanished and old age pensioners must now struggle with increasing adversity.